Why don't the Big Four (or any other manufacturer out there, for that matter) build boosted bikes anymore? 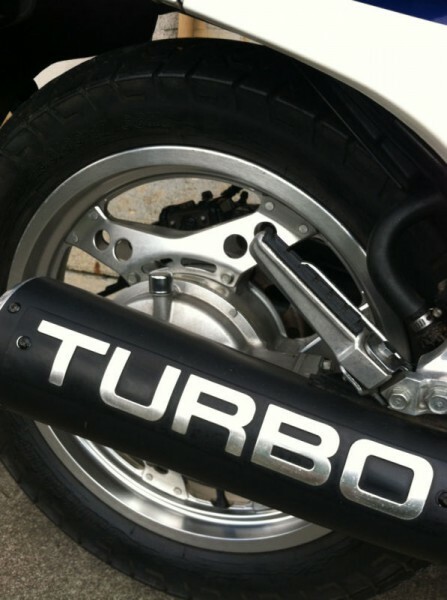 The turbo bikes of the 80s made a terrific splash - and some very impressive horsepower - before dying an early death. 30+ years on, technology must have caught up enough to give it another go, right? So why not? 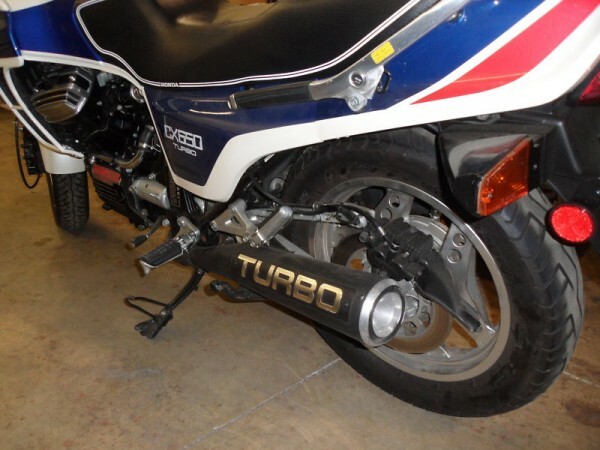 Until then, we must be content to bask in the glory of what was, such as this 1983 Honda CX650 Turbo. One of only around 1800 built, it is not known how many are still around and indeed how many are in this condition. This bike has some CX500 turbo parts, the rear axle and swingarm that give it higher gearing and therefore reduced revs on the freeway which makes for a more relaxing cruise. It has a fibreglass fairing and CX500T mirrors which look more sturdy than the original CX650T mirrors. 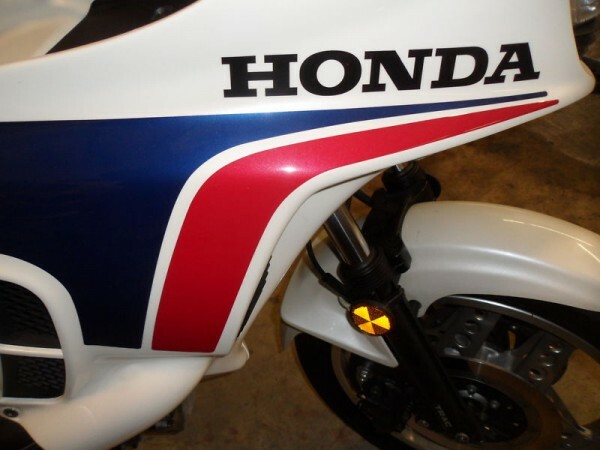 Please inspect the photographs of the actual bike I am selling, it is in truly excellent condition to be expected after only so few miles after restoration. Everything functions as it should, the brakes, electrics, suspension, everything is 100%. Bike starts and runs flawlessly and can be ridden anywhere. Factory Turbo bikes can be wonderful and unique riding machines. They can also be a headache and a nightmare when it comes to repairs and spare parts. 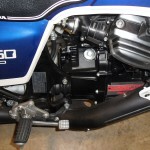 Fortunately, these CX650T models are practically bulletproof. There is a known issue with weak stators (around the 20k mark), but otherwise they are just fun to ride. This particular bike has the title of "restored" but the seller does note some non-standard changes. Click here to see all the pictures and details. Do your homework if interested. And don't forget to tell 'em you found it on RSBFS! Forget seeing double. I do think I am seeing triple. I AM seeing triple, and I have not even started drinking yet. 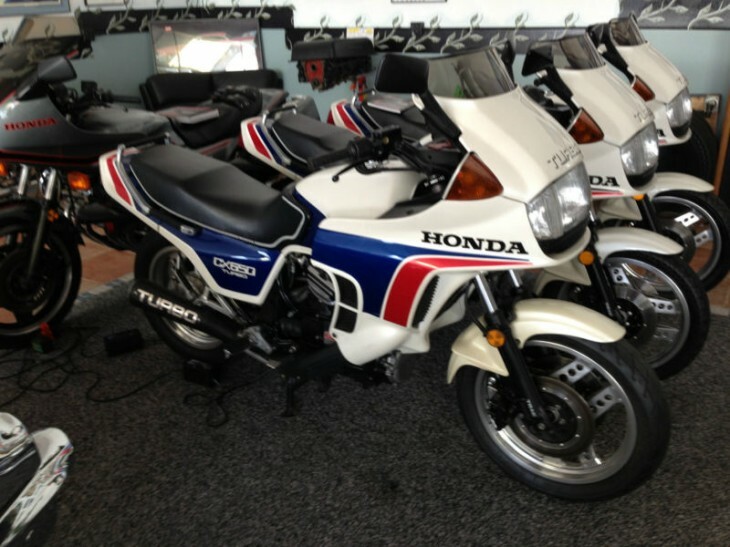 If a Honda CX650T factory turbo is not rare enough, how about having a collection of THREE of them?! Wow. 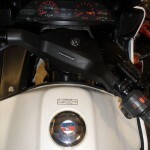 I love my CX650T, but one of these bad boys is enough for me! The good news here is that the owner of this Turbo trifecta is going to let one of the bikes go to a new home. If you are interested in these historical oddities, its time to perk up. 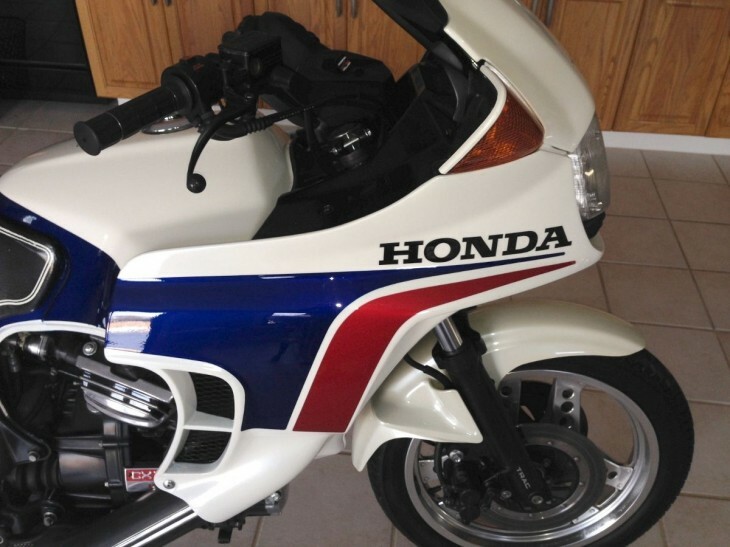 A one year only bike, the Honda CX650T is the only factory turbo to enjoy the benefits of a previous generation model. Widely accepted as a major step forward from the revolutionary CX500T, the 1983 650 model was a better bike all the way around. With plenty of power, plastic and weight (these are porky machines, to put it politely), the CX650T is a good looking bike that always draws a crowd. 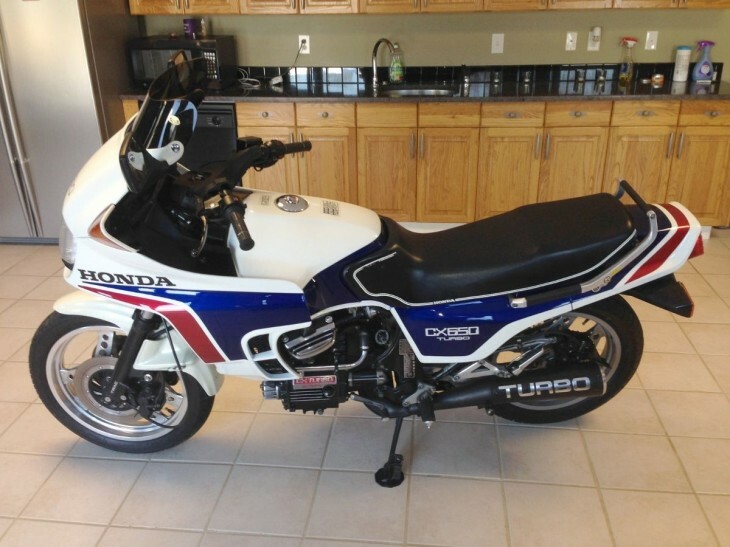 A very rare and nice example of Honda's best Turbo motorcycle from my collection with only 23,000 miles. Always garaged and never abused, and kept factory stock. 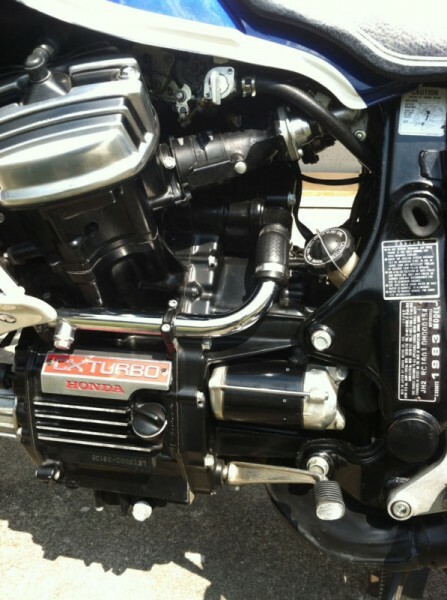 Factory Turbos are niche bikes at best. A curiosity for many, these are legitimately rare machines - and prices are starting to (slowly) reflect the exclusivity. This bike has more miles than most Turbos we see, but by no means is this a deal killer. These models have a tendency to eat stators at the 15-20k mark, turning the electricals into a total loss system, so if you are on the hunt be sure and check out the charging system. Replacement involves pulling the motor, so factor that fix into your planning. Interest is high in this particular bike. The current bid is up to $6,325, and there are still a few days left to go. The price is in the ballpark for a well-kept example, and this appears to be a "ready to ride" auction for a collectable that you will enjoy riding. 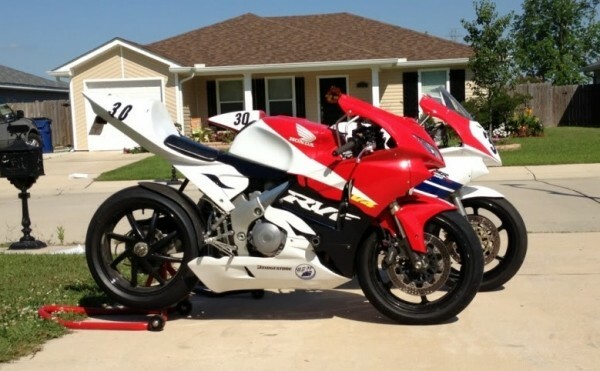 I think I want this bike just so I can look at the man cave that all these toys are stored in! Click here to jump over to the auction. Good luck! Welcome back to our latest sales report, where savvy buyers and sellers keep an eye on market values. 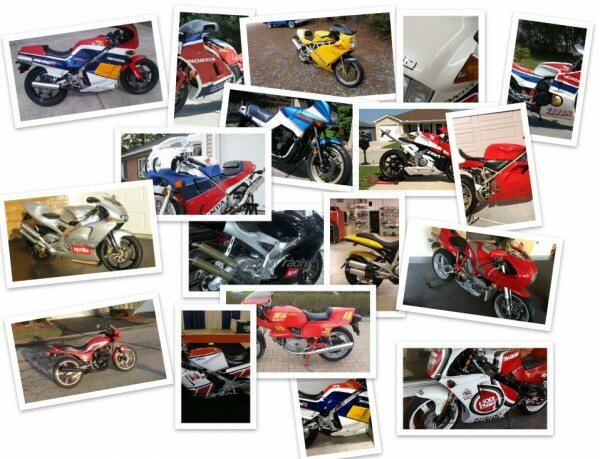 We blogged 60 bikes in April and here is a review of 20 of them, most having sold. In fact 4 of them sold to our own readers. Lowest sale price was $1900 and highest was $64k! Congratulations to April's buyers and sellers! 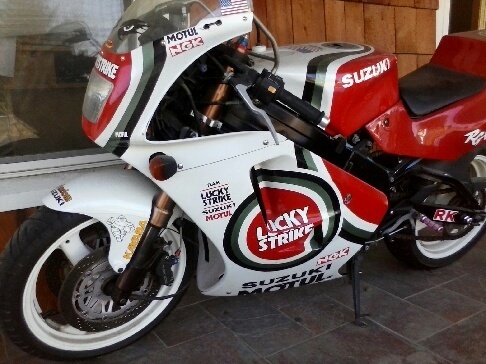 This Suzuki RGV250 Lucky Strike failed to sell even though it was bid up to $8100. 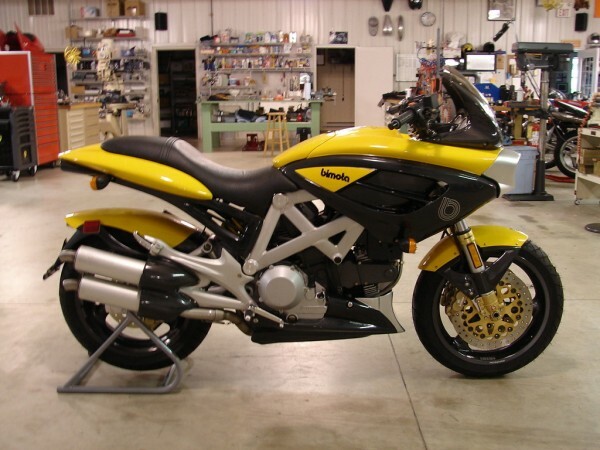 From the Michigan collection, this 1996 Bimota DB3 Mantra did end up selling after one relist for full price of $16900. 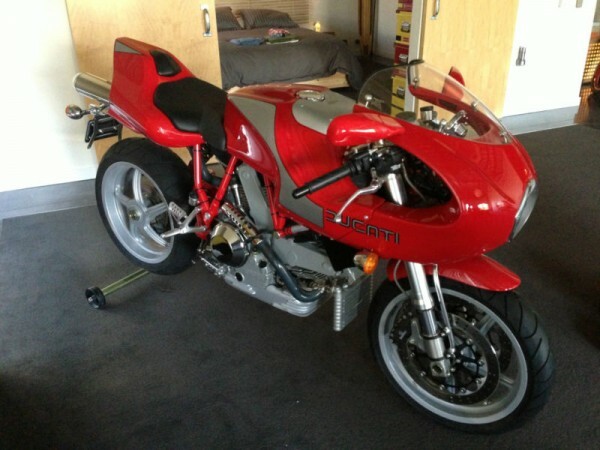 This 2002 Ducati MH900e with under 1000 miles sold for $22900. 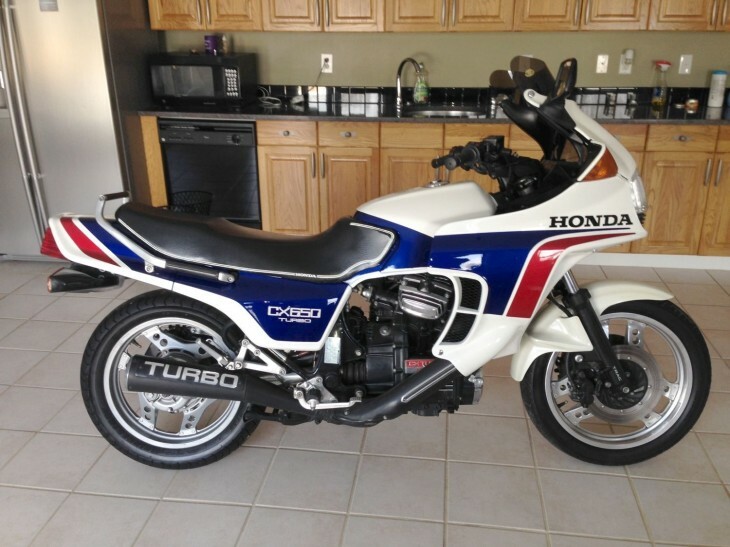 The 1983 Honda CX650T Turbo sold for $15100! These really do have quite the following! 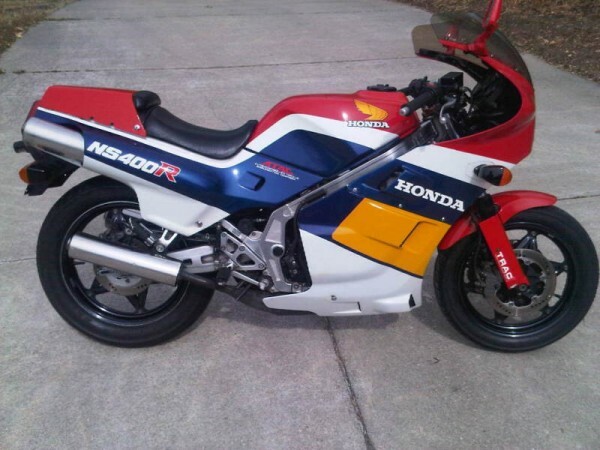 The 4k mile Honda RC30 failed to get much love when first listed with spares at $30k and then relisted without it failed to sell at $17600. 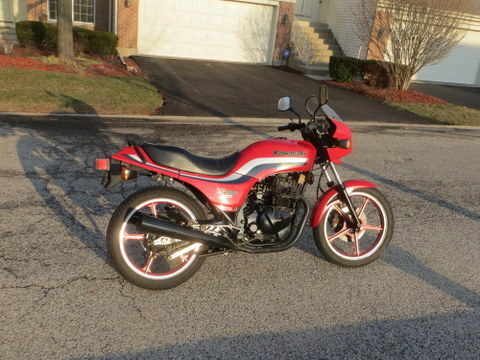 This adorable and exceptionally clean 1983 Kawasaki GPz 305 sold for just $1625! 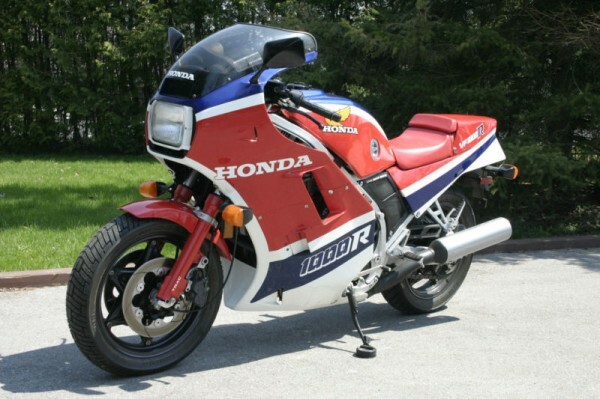 The first of two 86 Honda NS400R's that would sell this month, this one sold for $10099! The second NS400R sold for just $6100 in comparison. 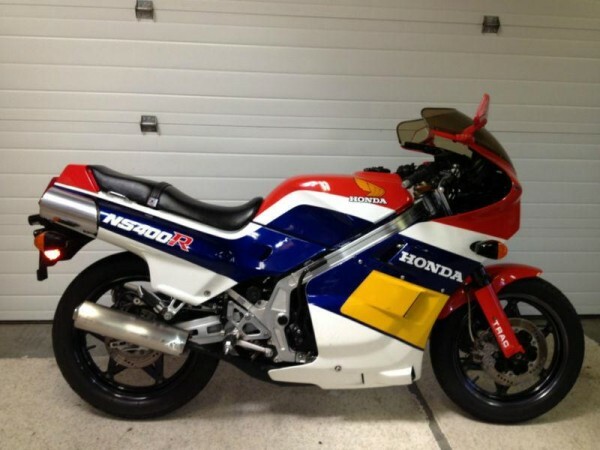 This 1987 Honda NSR250 looked pretty tidy and sold for just $3800. 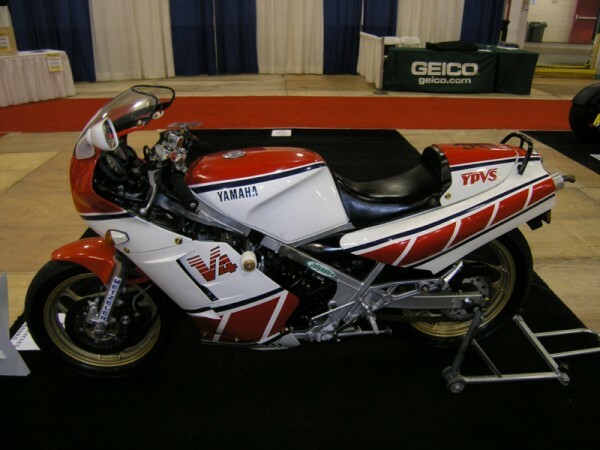 At $4000, this has to be the cheapest RVF400 we've seen sell. Congrats to the lucky new owner! This little 1983 Ducati 350 Desmo sold for only $1900, which is probably the cheapest Ducati we've ever seen sold either! 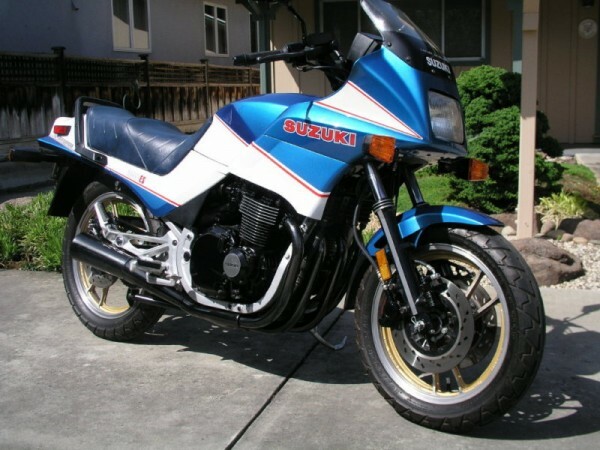 Here's the 1983 Suzuki GS550ES which sold for $3450. 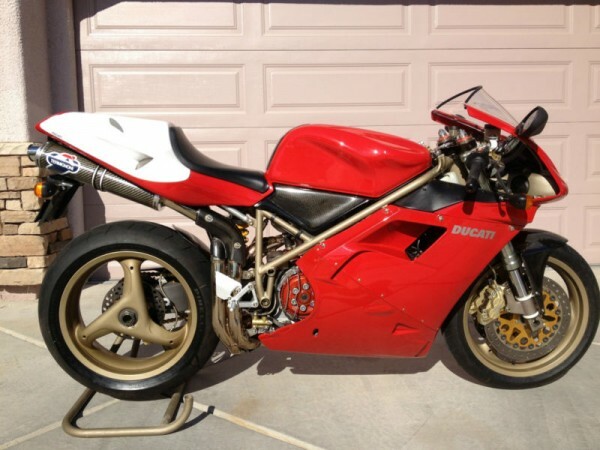 Sold to one of our readers, this 1998 Ducati 916SPS sold for $12900. 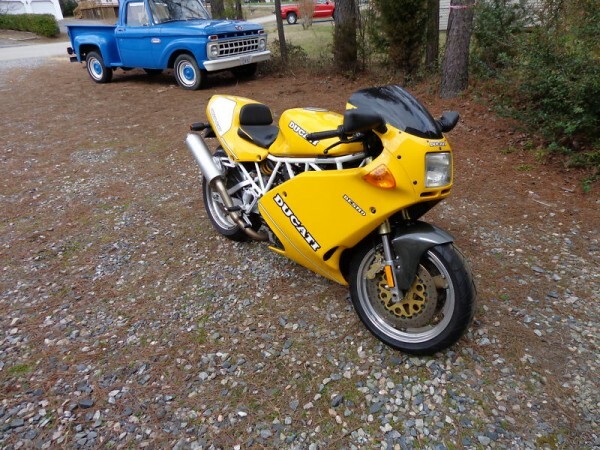 Also sold to one of readers was this 1993 Ducati 900SS Superlight for $9200. 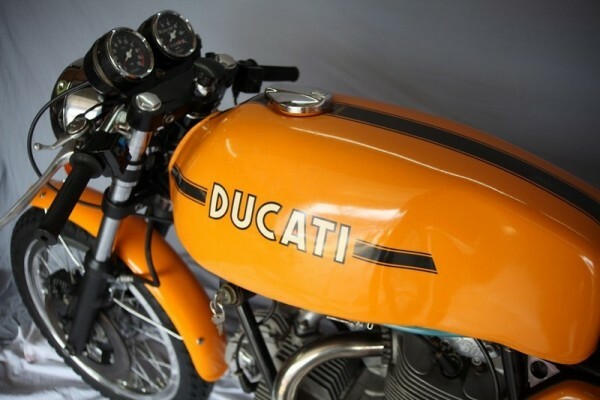 This stunning 74 Ducati 750 Sport, original and unrestored, sold for an eye popping $64k! 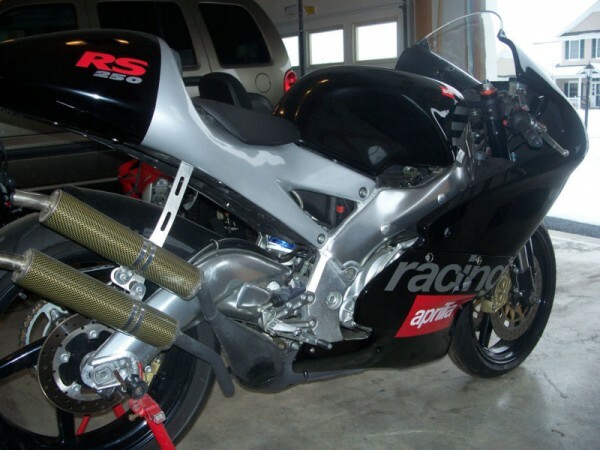 Back to the blue smoke, this 1999 Aprilia RS250 Cup sold for only $5300. 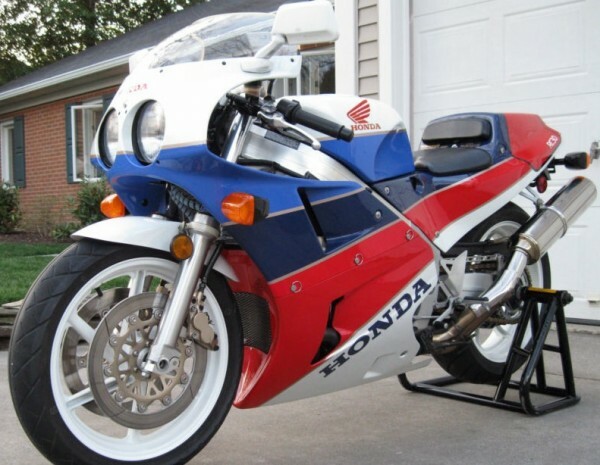 This 1985 Honda VF1000R sold for a tidy $8000. 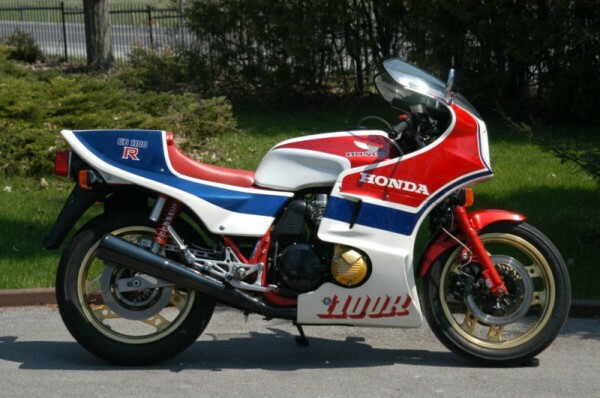 A good month for classic Honda's as this 1983 CB1100R sold as well for $23600. 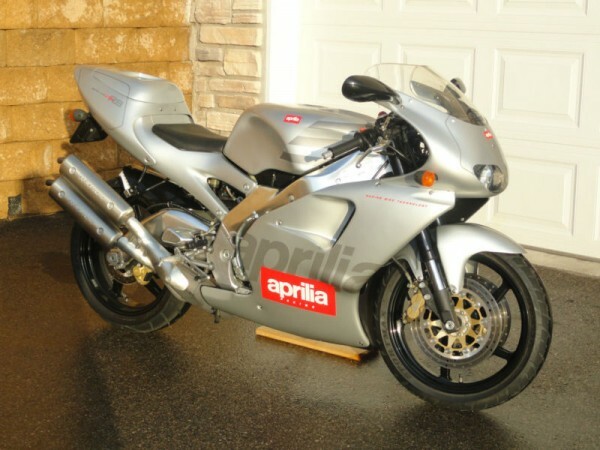 Sold to one of our readers was this very handsome 1997 Aprilia RS250 for $8100. 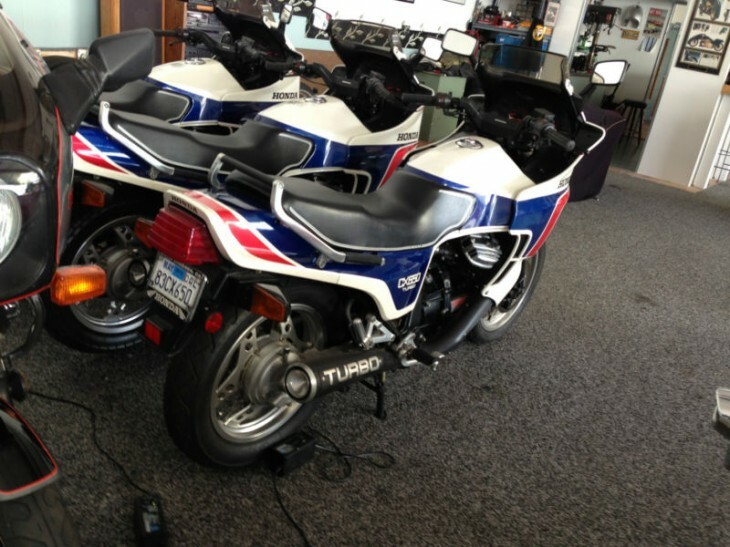 Finally, this 85 Yamaha RZ500 sold to one of our readers for $14500. 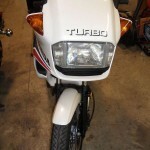 Honda Turbos - or any factory Turbo bike, for that matter - are genuinely rare motorcycles. Built to showcase technology of the future, these bikes were complex, expensive, and very, very fast. 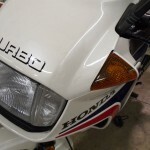 In the case of the Honda 650 Turbo, for example, the roll-on performance today is just as astounding as when it was first released. These days the larger bikes such as the ZX-14 and Hyabusa can equal and likely better it, however the CX650T is no slouch despite the age and the relatively small displacement. 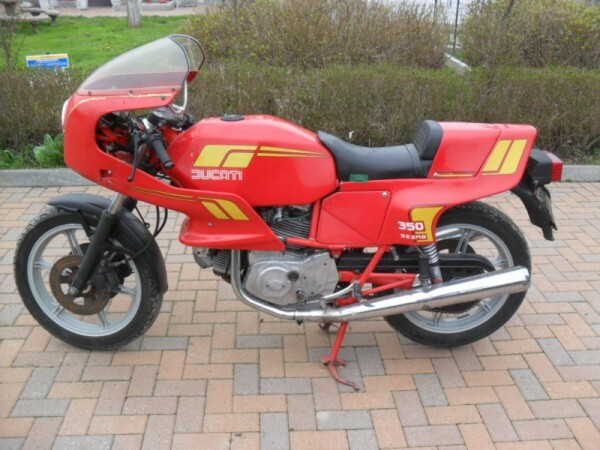 The 650T is a one year only bike, following on the heels of the CX500T one year before. 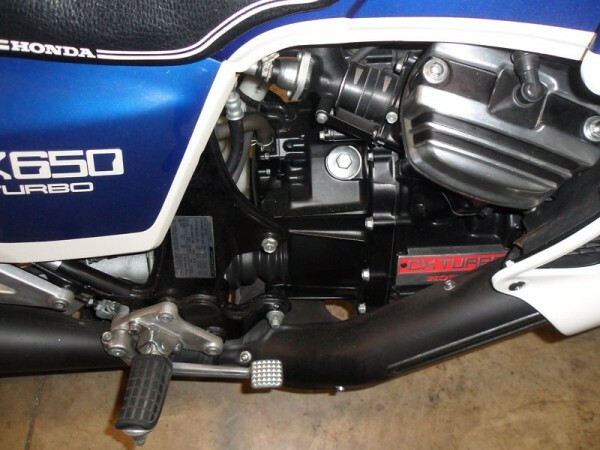 Much of the bike was new, and the 650 was a radical improvement over the on boost / off boost toggle switch affair of the 500. Engine size went up, boost went up, the price went up - and sales stayed flat (at best). 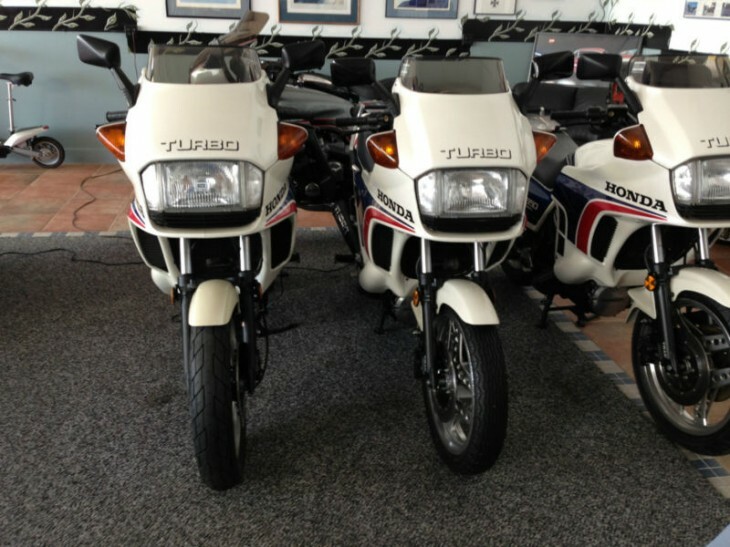 The turbo era was over before it really began; at the price range these bikes were riding in, one could buy a much more conventional machine of larger capacity. The riding community spoke with their wallets, and turbo motorcycles spooled down forever. 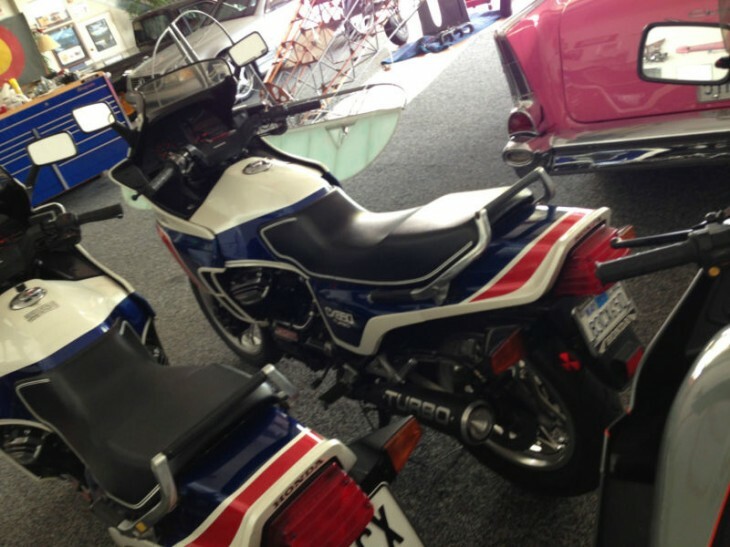 This is an almost 100% original CX650Turbo with 7,262 miles on it, and is in museum quality condition. I bought this bike about 5 years ago, and road it hard the first year. The previous two owners kept the bike in a heated dust free bubble for the first 6,000 miles of it's life. I bought the bike to ride and ride it I did. The bike is amazing. It wasn't untill the wife opened the car door into the left blinker that I realized how really rare these bikes are and how hard parts are to find for them. I paid almost $300.00 for an original left blinker. You don't have to worry this bike needs nothing. The only things on the bike that are not original are: tires, left blinker, hand grips, battery, fornt and rear brake lines, and brake pads. All have been replaced with O.E.M. parts. the brake lines are spiegler black steel braided to match the original. 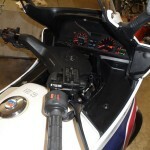 The original starter toggle has been replaced with a switch off of a 1976 CB 700 SC. This switch is identical to the original except it has a starter button instead of a toggle. The original toggle switch is no longer available. 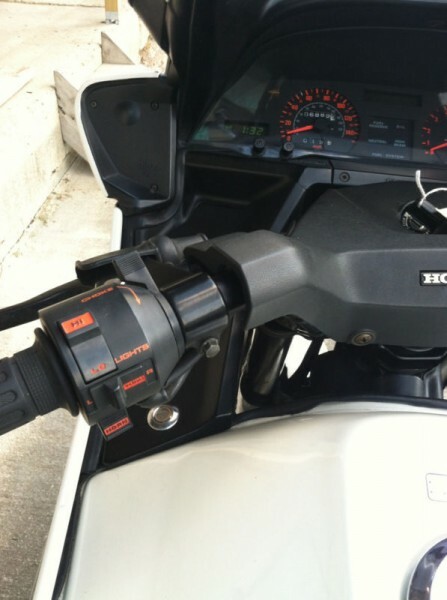 The bike starts, runs, and idles as new. All lights work and instruments work as they should.There are no oil leaks .The fork seals are good. 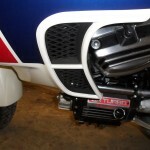 The stator puts out 13.7 volts at idle and slightly higher at 4,000rpm. The tires are battlax to match original and have about 1,100 miles on them,the battery is brand new. There are no chips, cracks, dents. in the fairing or tank. The bike can be started up and road home without concern. The new owner will not be disappointed. 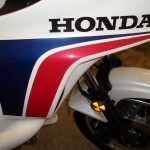 There were only 1,777 of these bikes manufactured by Honda in 1983 and only about 1,100 brought into this country. Of the 1,100 about half went to tech. schools and motorcycle training centers to train future motorcycle mechanics. This bike is extreamly rare and getting harder it find and more expensive every day. 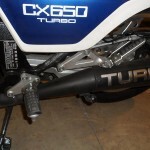 CX650Ts are pretty bulletproof. The major weakness is an appetite for stators somewhere in the 20,000 mile mark. The repair is not for the faint of heart, as it involves pulling the motor. Other than the charging system weakness, parts are turning scarce due to the low volume of production. However treat the bike well and you will be rewarded by a very fast, comfortable and unique experience. This bike is located in Ohio. It presents very well, and with just over 7,000 miles on the odometer this is one of the lower mileage examples we have seen. The bidders have stepped out for this one as well; the current bid is sitting at $9k with several more days to go. The current price is pushing up the value on these bikes, but still within reason for a good example. Check out all of the pictures and details here, and then let us know what you think. 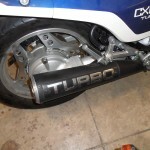 To turbo or not to turbo? What's your thought? And now for a completely different kind of v-twin experience. Loosely based on the CX500 / CX650 powerplant found in Honda's cruiser/custom lineup as well as the midsized Silverwing touring bike line, the CX650T added a Turbo and cutting edge technology to produce a bike that was outstanding on the road, and miserable in the showroom. 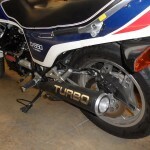 When it comes to rare, the unwanted and unloved Turbo bikes of the early 1980s are about as rare as they get for non-homologation, mass production bikes. 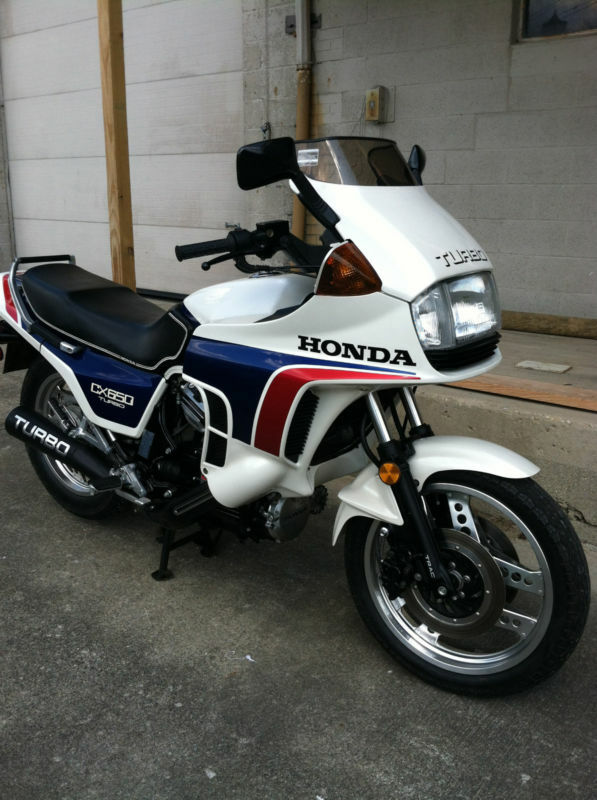 The Honda Turbo lineup, which started with the CX500T a year earlier, produced a unique motorcycle. It wasn't a sportbike, and it certainly was not a dresser. Yet with shaft drive and enough torque to earn the title of "roll-on king," the Honda Turbos could easily fulfill the role of sport-tourer. All it was lacking was hard bags. With a relatively tall stance and a hefty 500+ pound mass, the ride is comfortable and relaxed. 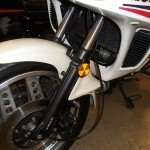 The fairing works well to keep the rider protected, and the power is worth waiting for (turbo lag, while greatly reduced with the switch to the 650 motor, still exists). 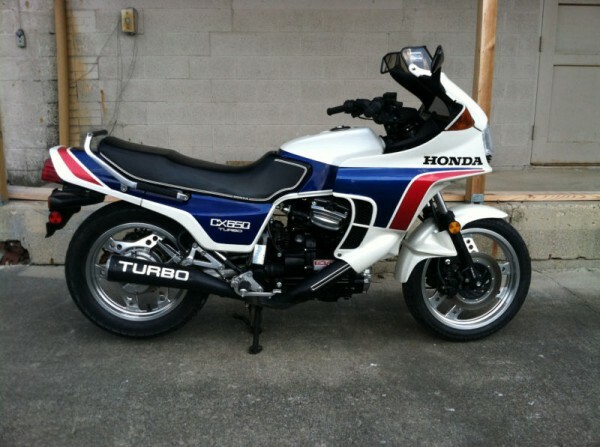 Here we have a 1983 Honda 650 Turbo. 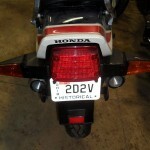 This model was the lowest production number Honda manufactured with a total of 1776 units sold worldwide. 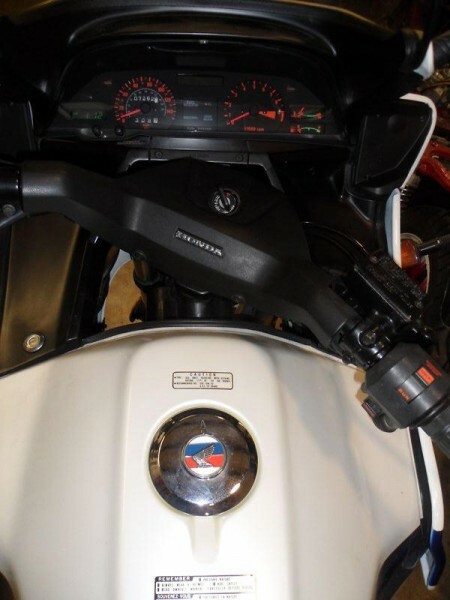 This pristine example is showing 6890 miles.The bike is in collector quality condition and would make a fantastic addition to any serious collection. It is all original down to the Bridgestone tires and those may even have the original air in them. The tires are showing some slight weather cracking on the sidewalls. It starts, runs, drives and stops 100%. 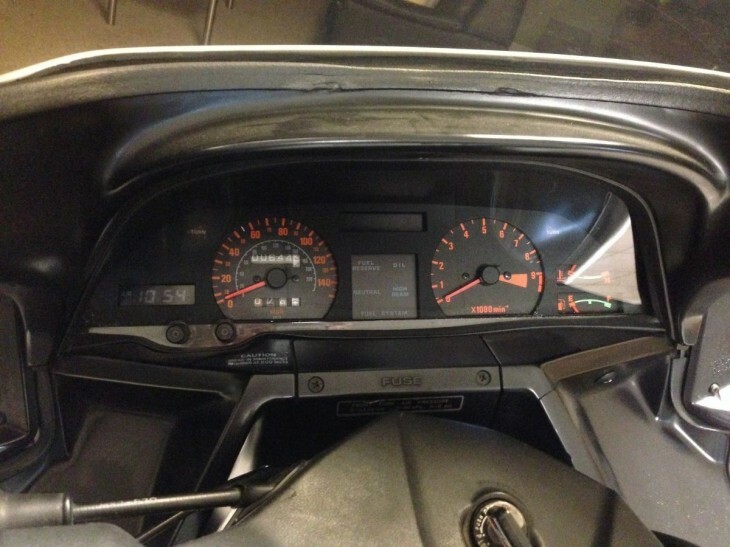 All electrics work including the clock and all lights and gauges. It has always been properly stored in a climate controlled garage. The bike is titled, insured and tagged in my name. Thanks for looking and good luck. Someone is going to get a very nice bike. The CX motors have turned out to be relatively bulletproof. For all the power these bikes produce on boost, maintenance needs are not excessive, and the bikes are not overly fragile. All these models do have a penchant for eating stators as miles accrue (15 to 20k is the general rule), and there have been reports that some of the wiring connections are weak (possibly a related issue). Other than that, keep it full of oil and gas and keep the boost gauge active and you should be good. This fantastic looking survivor is available via auction. Bidding has been moderate, and the current price is just below $5,000 with reserve still in place. 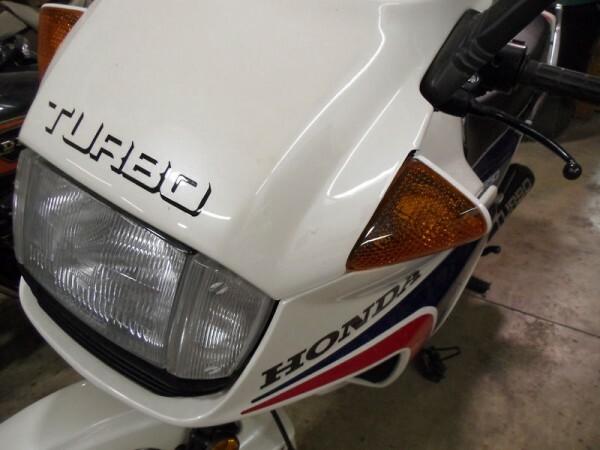 Expect to pay approximately $6,500 or more for a good 650 Turbo; anything below that for a low mileage example should be considered a bargain. I'm not sure if original tires with original air has any collector value, but the rest of this bike sure does. For more info and pictures, click the link and jump over to the auction. Good Luck!